After an arrest for Driving under the Influence (DUI) in Tampa, FL, call us to discuss the best strategies to fight the charge. The four attorneys at Sammis Law Firm focus exclusively on criminal defense with an emphasis on fight charges for driving under the influence. One of the attorneys is “on call” after hours and on weekends to answer your questions. We make it easy to schedule a phone or office consultation so you can speak directly with an attorney. From that free and confidential meeting, you will know what you need to do right now to protect your rights as you fight for the best result in your case. Contact us about the 10 day rule to protect your driver’s license. Although some people might tell you to waive all your rights by seeking an immediate hardship license, find out why we always recommend demanding a “formal review hearing” within 10 days of the arrest. Contact us today to discuss your case over the phone or in the office. Call (813) 250-0500 today. Conducting a jury or bench trial to fight for a “not guilty” verdict. We represent men and women arrested for drunk and impaired driving in throughout Hillsborough County including Tampa, Ybor City, Temple Terrace, and Plant City. We also represent clients throughout all of the surrounding counties of Pasco, Pinellas, Hernando, and Polk. Our DUI defense attorneys also fight drunk driving cases after an arrest at the Tampa International Airport, MacDill Air Force Base, the University of Tampa (UT), or the University of South Florida (USF). We are in court each week fighting DUI cases. We also appear several times a week at the Bureau of Administrative Reviews (BAR) office of the DHSMV in Tampa and Clearwater to challenge the administrative suspension of a driver’s license. Our offices have been at the same location in downtown Tampa, FL, for more than 10 years. Leslie Sammis has focused her career on DUI cases. She is a member of the National College for DUI Defense (NCDD) and the DUI Defense Lawyers Association (DUIDLA), the most trusted organizations for the top DUI lawyers in the United States. As a member of these organizations, she attends legal seminars at the local, state and national level on drunk driving defense. Lesli Sammis received advanced training on the Intoxilyzer 8000 from a former Department Inspector with the Florida Department of Law Enforcement (FDLE). The Intoxilyzer 8000 is the only breathalyzer currently used in Florida. If your DUI case involves a refusal to submit to testing or a breath test reading over .08 or .15, then you need an attorney focused on fighting these types of charges. Over the last eighteen years, Leslie Sammis has taken numerous DUI cases to trial and obtained “not guilty” verdicts in both felony and misdemeanor DUI cases. She has argued hundreds of contested formal review hearings and cross-examined officers, breath test operators, agency inspectors, and department inspectors. She has also successfully litigated numerous motions to suppress and motions to dismiss in drunk driving cases. All of the attorneys at Sammis Law Firm are experienced in conducting formal review hearings and jury trials in DUI cases. Let us put that experience to work for you at every stage of the case. the driver caused or contributed to a crash with death or serious bodily injury to another. a BAC reading at .15 or above. eight (8) hours have elapsed from the time of the arrest. Although a first DUI is a misdemeanor, a conviction comes with minimum mandatory penalties that are typically more severe than most third-degree felonies. The trials tend to be more complicated than many second-degree felony charges because of the nature of the scientific evidence including field sobriety testing and chemical testing of the breath, blood or urine. Additionally, DUI cases are subject to extreme jury prejudice due to “media blitz” publicity and the pressures from citizen action groups such as Mother’s Against Drunk Driving (MADD). DUI trials are complicated because many of the prospective jurors are nondrinkers, reformed alcoholics, or have religious reasons not to drink alcohol. while under the influence of alcoholic beverages, any chemical substance set forth in section 877.111, Florida Statutes, or any substance controlled by chapter 893, Florida Statutes. Since the court cannot withhold adjudication, the person convicted of DUI can never seal the criminal record. For all of these reasons, you need a local DUI defense attorney focused on fighting these unique types of cases. Call us for a free consultation so that you can find out more about our unique qualifications for DUI defense in Tampa, FL. you refused to take the requested breath, blood or urine test. Your DUI citation operates as the notice of suspension. The officer will send the notice to the Florida Department of Highway Safety and Motor Vehicle (DMV). The citation itself operates as a 10-day permit so you can continue to drive during the first ten (10) days after your arrest. do nothing and suffer the 30 or 90-day hard suspension during which time you can not drive for any reason (after that you can request a “business purpose only” license for the rest of the suspension period). Call us to find out why we ALWAYS recommend demanding the formal review hearing within that ten (10) day period. Because you must decide how to protect your driving privileges and take action quickly, it is essential to retain a criminal defense attorney during this ten (10) day period after your arrest. The attorneys at Sammis Law Firm in Tampa, FL, believe it is important to demand the formal review hearing and fight to invalidate the DUI administrative suspension. In many ways, the formal review hearing is the most important part of the case. The evidence gathered during that hearing can often be used to your advantage in the criminal case. Our attorneys attend every formal review hearing at the Bureau of Administrative Review (BAR) Office. The Tampa Bureau of Administrative Review Office is located at 2814 East Hillsborough Avenue, Tampa, FL 33610. Although the hearing officer will tape record the hearing, we also bring a court reporter to the hearing who prepares the official record. We obtain a subpoena for every witness listed in the documents unless we have a good reason not to subpoena the witness. We thoroughly review everything in the DMV’s packet, the discovery from the State Attorney’s Office and any video evidence before the hearing. the defendant recanted his refusal to submit promptly and after that agreed to take the chemical test. the breath test machine was not properly inspected or maintained. Even if all the witnesses appear at the hearing, other important objections can be raised including the lack of competent and substantial evidence as to one of the required issues in the case. If you win the hearing, then your administrative suspension will be invalidated (vacated or set aside). Having the suspension invalidated means the administrative suspension is removed from your driving record as if it never happened. The only downside to contesting the administrative suspension is that if you are not successful, then a hard suspension will start. During that time you cannot drive for any reason. At the end of the hard suspension, as long as you have enrolled in DUI school and are otherwise eligible, you can obtain a “Business Purpose Only” license for the rest of the suspension period so that you can drive to and from work, school, and church. Even in cases in which the suspension is not invalidated, the client still wins because important evidence and testimony were gathered that might lead to a better result in the criminal case. Call a DUI defense attorney in Tampa, FL, to learn more about fighting the administrative suspension. The length of the administrative suspension are listed below. The “hard period” is the time period during which you are not eligible for a hardship license. 12 months (90 day hard period) if you refused. 18 months (18 month hard period) if you refused with a prior refusal. After your arrest, the clerk’s office will schedule your first court date called the “arraignment” in front of the judge. For individuals that do not have an attorney, the court will read the charges and ask the person to enter a plea – either guilty, no contest or not guilty. If the individual enters a guilty or no contest plea, then the court will adjudicate the person guilty of DUI and impose a sentence which could include jail time and probation. A guilty plea is essentially the same as a “no contest” plea. A conviction results in either case and you can never seal or expunge that mug shot, arrest record, or court record of the conviction. Entering a plea at arraignment is a bad idea because you cannot obtain a hardship license until after you have completed DUI school. Trying to resolve your case without a criminal defense attorney is not a good idea. Before entering a plea, at a minimum, you should review all of the police reports and watch the video at the roadside or at the police station. You should always talk with a DUI lawyer about the evidence in your case before considering a plea to the charges. Many of these cases are reduced to less serious charges such as reckless driving. Your criminal defense attorney can always fight for a one or two level (or more) reduction depending on the facts of the case. For a first DUI, contact us to find out more about the DUI Diversion Program in Hillsborough County called RIDR. The new diversion program might result in your first DUI being reduced to reckless driving with a withhold of adjudication. The withhold of adjudication means you can avoid a conviction. After the case is resolved, you might be able to seal the criminal history record. Each level the charges are reduced can save you thousands of dollars and indirect consequences that would otherwise occur. By entering the plea as charged without any reduction, you may be taking the most disruptive, expensive, and prolonged route to resolving your case. Move to suppress, exclude or limit certain evidence in the case. After the arraignment, another court date will be scheduled each month after that (called the “disposition”). In most cases, your attorney can waive your appearance at these court dates. During these initial court dates, your attorney will secure a copy of all evidence in your case. Your attorney may also file additional motions to suppress or exclude that evidence. After the investigation is complete and all information has been provided by the prosecutor with the Assistant State Attorney, then the case will be scheduled for motion hearings, a pre-trial conference, trial. Your appearance is required at these court dates. Hiring an experienced lawyer to fight your case may help you avoid a conviction which may save you thousands of dollars in fines, court costs, expenses for DUI school, vehicle impound, time and energy to complete 50 hours of community service and drastically increased insurance premiums. Avoiding a DUI conviction might also save you thousands of dollars each year for the next three (3) to five (5) years in increased car insurance premiums. After a DUI conviction, you are required to obtain a high-risk and more expensive form of insurance called “FR-44” insurance. The most common way to avoid a DUI conviction occurs when the prosecutor agrees to amend the charge to “reckless driving.” If the officer’s decision to stop the vehicle was unreasonable under the Fourth Amendment, then all evidence in the case could be excluded which could lead to all charges being dropped. Our attorneys represent professions charged with drunk driving in Florida, including college students, nurses, private and public school teachers, and members of law enforcement or the military. Even if you are not convicted of DUI, merely being arrested on the charge may also bring immediate consequences to your educational or career opportunities, especially if you have certain types of certification or licenses. In other counties, such as Miami-Dade County and Palm Beach County, the State Attorney’s Office has pre-trial intervention programs to resolve a first DUI case. This type of DUI diversion program is now available for cases in Tampa or Hillsborough County. The statute provides for two different theories that the prosecutor might use in an attempt to prove that you are guilty. First, the prosecutor can attempt to show that you were under the influence of alcohol or an intoxicating substance to the extent that your normal faculties were impaired due to alcohol intoxication or drug impairment. Alternatively, the prosecutor can attempt to show that your performance on a chemical test, such as a breath or blood test showed a blood-alcohol level of .08% or above. Regardless of the theory under which your case is prosecuted, the potential penalties are the same. Certain enhanced penalties apply if the prosecutor proves that your breath test reading was over .15 including the dreaded ignition interlock device and a higher fine. The charges are also more serious if you are charged with DUI with property damage or while a minor child was in the vehicle. If you have been arrested for drunk driving (“DUI”), including a breath test, urine test or blood test case, a refusal case, or crash with property damage, then call us to discuss the case today. When the State of Florida attempts to prosecute a Driving Under the Influence case, the strongest evidence is usually the results of a chemical test, including a breath test, blood test, or urine test showing that the driver was intoxicated with alcohol, prescription drugs, or a controlled substance. If the driver refuses to submit to a chemical test (called a “DUI Refusal BAC” in Tampa, Hillsborough County, FL), then the State no longer has that evidence. Instead, the prosecutor will them attempt to admit evidence that the driver “refused” to submit to the test and other circumstantial evidence. The prosecutor will argue that this refusal demonstrates a “guilty conscience” or the driver’s belief that if he submitted to the chemical test, the test results would show that he was intoxicated from alcohol or impaired by prescription drugs or other controlled substances. Learn more about how an attorney fights a DUI refusal case in Tampa, FL. In determining whether to admit or exclude the evidence that the driver refused to submit to the test the Court will consider state and federal constitutional provisions, the rules of evidence, common law provisions, statutory rules, and administrative rules. Furthermore, if the law enforcement officer violates a driver’s constitutional or statutory rights to an attorney before the blood, breath or urine test, then the Court can exclude or throw out any evidence that the defendant declined to take the chemical test. Many refusal cases are difficult for the prosecutor to take to trial because the prosecutor’s most important piece of evidence, the test result, does not exist. If you have been charged with DUI refusal in or around Hillsborough County, then talk with an experienced attorney before you decide how to proceed with your case. If you have previously had your driver license suspended for refusing to submit to a chemical test, then the consequences for a second or subsequent refusal will probably be an additional criminal charge for a first-degree misdemeanor. In July of 2002, the Florida Legislature criminalized a second refusal to breath, blood, or urine test. If you refuse to take a breath test a second time, you may find yourself charged with two separate offenses, DUI and a “second refusal to submit to DUI testing” charge. Even if you win the DUI case, you could still be convicted of the refusal charge. The constitutionality and limitations of this new criminal offense for a “second refusal to submit” have not been fully addressed by the appellate courts. Defenses exist to fight this separate charge of refusing to submit to a chemical test for the second time. Contact the attorneys at the Sammis Law Firm to discuss defenses that may be available under Florida law for the particular facts and circumstances of your case. Our main office is located in downtown Tampa, FL. Our second office is located in New Port Richey in Pasco County, FL, across from the courthouse at the West Pasco Judicial Center. 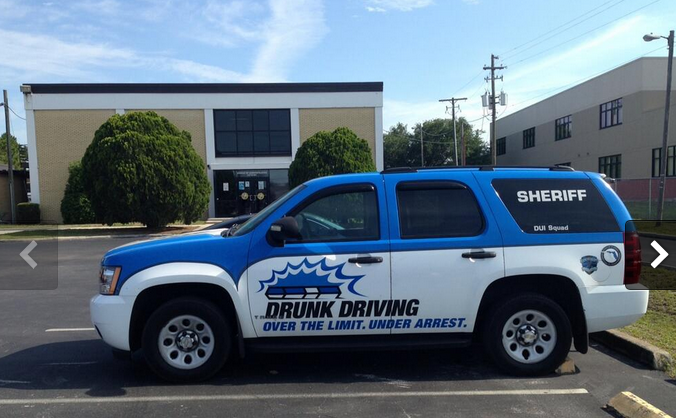 Did you know that the offense of Driving While Intoxicated was abolished by statute in Florida? Thereafter, the Florida Traffic Court Rule 6.110 was amended in 1990 to delete any reference to DWI. Over the years, the Florida legislature has considered proposed legislation to reintroduce DWI cases into Florida law. Read more about a recently proposed DWI statute. MADD Florida – The mission of Mothers Against Drunk Driving in Florida is to stop drunk driving, support the victims of DUI crimes, and prevent underage drinking. The MADD website contains information about statistics and laws throughout the country for drunk and drugged driving. Additionally, the website contains DUI stories told by those impacted by drunk driving offenses including first responders, those injured in a crash, and family members of people killed in the crash. Florida DHSMV on Administrative Suspension – Visit the website of the Florida Department of Highway Safety and Motor Vehicles (DHSMV) to find the rules for an administrative suspension after a DUI arrest in Florida. Florida DUI Penalties and Punishments – If you have been arrested for drunk driving in the Tampa Bay area of Florida, find out more about the statutory minimum mandatory punishments that may apply if you are convicted. The consequences that apply depending on the way the case is charged. Charges can be enhanced based on the number of prior convictions, the date of those convictions, and whether any property was damaged or whether anyone suffered any personal injury. DUI School Level I Counterattack in Tampa, Hillsborough County – Visit the website for DUI Counterattack, Hillsborough Inc. Founded in 1971, Tampa’s DUI school provides alcohol and drug abuse educational courses to people accused of driving under the influence after an administrative suspension or criminal conviction. In order to enroll in the school, you must live, work or attend school in Hillsborough County. The DUI school also provides a face to face evaluation to determine whether follow up treatment and counseling will be required or recommended. The registration fee to enroll in level I DUI school for a first-time offense is $273.00.